I have previously mentioned that I’ve taken up growing carnivorous plants- insectivorous would really be a better term - in my basement under fluorescent lights. One of the most interesting of these plants is the ‘sundew’. In addition to being fascinating, alien appearing, beautiful, easy to propagate, and inexpensive, they are also very easy to grow under lights. What more could you ask for in a plant that also helps rid your basement of small insects? If you’re an insect you don’t want to find yourself anywhere near those gooey tentacles that are so enticing to visit. Once a small insect touches the ‘dew’ droplets they become stuck, and as they struggle come into contact with more of the flypaper-like droplets. Then the tentacles, as well as the entire leaf itself, wrap itself around the insect and secrete digestive juices to obtain a nitrogen laced meal. The entire process can be seen in the video below the photographs of my very own Drosera capensis “albino”, the albino form of the Cape Sundew which is native to South Africa. The albino form has greenish, as opposed to red, leaves, though under strong light the tentacles take on a pink blush. There are other Sundew species native to different regions with different leaf shapes and growth habits. But they all have goo. Did I mention they were easy to propogate? This is the graceful emerging flower stalk from the same plant. The small flowers self-pollinate and form seed in this particular species! And for some real action, watch a short sundew time lapse from the BBC! Isn’t nature amazing. I mean you can’t make this stuff up! Back in August, I had mentioned that I had taken an interest in and started growing some ‘carnivorous plants’. There are actually several different species of plants that look at insects as if they were small fertilizer pellets, but probably the most known to everyone is the Venus Flytrap or Dionaea muscipula. 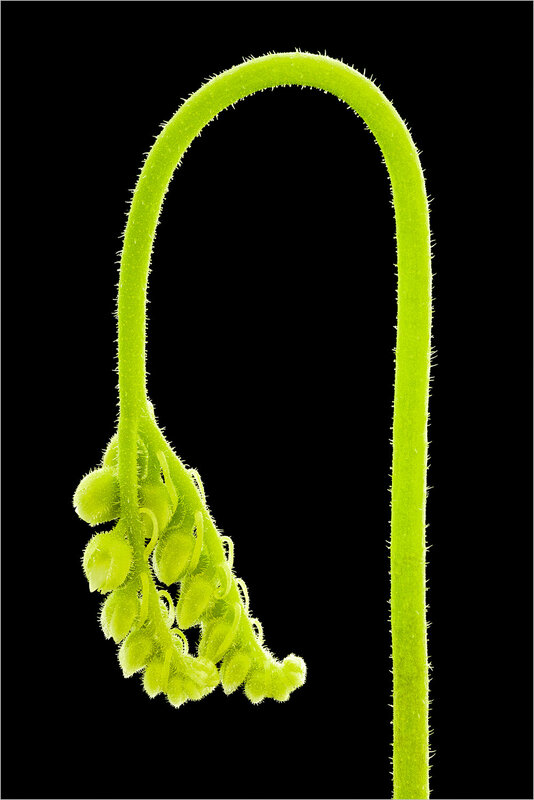 Indeed, Dionaea are quite exotic looking, but you don’t have to go to anywhere exotic to find them, as they are actually native to North America and particularly North Carolina, though they grow elsewhere as well. Why doesn’t the rain or the wind cause the traps to close with no prey? What can the flytrap eat? How many times can it open and close? What makes it open and close? How does it close so quickly that a fly is trapped when I can’ even hit a fly with a fly swatter? It’s an interesting plant, isn’t it? Here are some answers that you might find interesting. Answers by the Botanical Society of America. I suspect you will see more photos of the Venus Flytrap as well as of various other species of carnivorous plants scattered across the coming months!